Facebook Page is a key for your business promotion and for many after their business website; they invest much time, effort and money to their business or personal Facebook page. Facebook by its social space popularity pulls more traffic to their site, so make use of it to bring traffic to your Facebook business page. Here are the top SEO strategies & tips for Facebook page owners. 1. Have the most suitable name for your Facebook page and do not change it. 2. Choose the best URL for your Facebook Page and to rename to custom URL, you need to have 25 fans to your Facebook page. 3. "Why is this page" about text box on right side should have the message for the visitors and have the most effective words to it for greater indexing. 4. Make use of the “Info” tab to include important links and texts with keywords on your page. 5. Make use of the option "Suggest your friends". 6. Make use of “Static FBML” boxes and tabs to have banners, content and links. Here is a link to “Static FBML”. 7. Post your website links and useful links that relates to your theme in your page’s stream. 8. Add photos, videos and discussion forum. 9. Add your Facebook Page links to your websites and social sites like LinkedIn, Twitter and so. 10. Engage your fans and make them to comment and like your content in page stream. 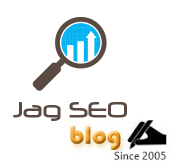 Hope you have got an idea on Facebook Page SEO strategies. Feel free to post if you have any SEO tips for Facebook Page organic promotion. "yourdomian.com" /seo - shows web data with inbound links, crawl stats, site pages, compare with another site & duplicate content.